The practice of gender testing is built upon an idea that testosterone levels determine gender, and that by having a higher level of testosterone women are more masculine, therefore having an unfair advantage. In the past the IAAF (International Association of Athletics Federation) have subjected women to gender tests and unethically encouraged them to take drugs and undergo surgery, which represses their natural talent. A number of people, including Peter Sonksen, argue that these tests should not take place. Sonksen, a professor of endocrinology, claims the rule is “unfair, gross and unscientific. It is clear discrimination.” Studies, including Sonksen’s, have proven that testosterone levels change considerably person to person, and there is often overlap between male and female levels. Gender testing is invasive, unfair and sexist. However it is no coincidence that the majority of women athletes subjected to unfair and unscientific gender testing are women of colour. 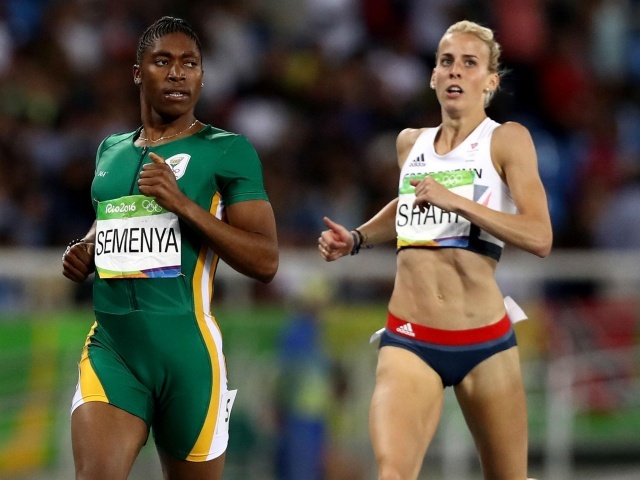 Most notably in recent years are the stories of Dutee Chand and Caster Semenya, both female athletes of colour who were banned from competing and subject to gender testing due to their testosterone levels. As well, both women were subject to public scrutiny and criticism from their white counter parts. The IAAF, the press and their white competitors from the global north are targeting women of colour because of the systemic racism that is still prevalent in the world today. The concept that women of colour have higher levels of testosterone and that white women are more deserving of being at the top are both racist ideals stemming from European imperialism. Both are concepts that are heavily at play in the case of gender testing. The fear of success of people of colour is a deeply racist value that our society still holds. Gender testing harms all women, but disproportionately it harms women of colour. Not only due to the systemic, institutional racism that is ingrained in the values and practices of the global north, but because it does not consider the stigma and harm it place upon these women. Threatening their privacy, safety and freedom. Written by Angharad Englefield on 13th October 2017. Angharad is a recent graduate of the University of Glasgow where she studied theology, focusing mainly on feminist and queer theology. She has previously volunteered and worked for LGBT sports development organisation Pride Sports UK for a number of years doing a variety of work from admin to community development, and is now a Project Assistant at LEAP Sports. Angharad comes from a queer, multi-ethnic family which motivates her to be proactive and promote change and inclusion.